Here at The Pen Shop, we have a huge selection of luxury pens from a range of highly esteemed pen brands. 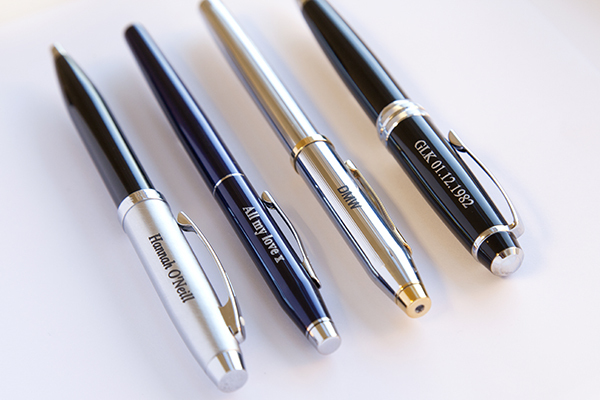 With our pen engraving service, we’ve made it easier for you to personalise your pen and add an extra special touch. Show them how much you care with a personal engraved message on their new favourite writing instrument. Whether you simply add a name or a personal message, engraving adds that finishing touch to a perfect gift. Engraving is not only popular for birthday or Christmas gifts, but also as part of a retirement leaving gift or a corporate gift from employers to loyal staff or special clients. We’ll engrave your message on the cap of the pen, so you can then see the engraving while you write. We always engrave on the pen cap, to engrave on the barrel would mean your fingers would gradually wear off the engraving or cause the pen to oxidize and eventually start to rust. Whether you simply add initials, a name or a personal message, engraving adds that finishing touch, creating the perfect gift and a personalised pen they can treasure. Many of our writing instruments can be engraved — simply shop our range of pens online and look out for the ‘Engrave Me’ icon. Our product pages will tell you whether the item can be engraved on the pen or the box. Fountain pens all have a distinctive nib, which is available in a wide variety of styles, depending on the manufacturer and specific range of pens. Nibs can be made from different materials, including solid gold and steel. All our fountain pens are supplied with a medium range nib however we’d be delighted to help you arrange an alternative nib for your pen. So that you really can get the right nib to suit your handwriting we make you a very special promise. When you buy a new fountain pen you can use it for up to 30 days. This will give you time to decide if the nib is right for you. During this 30 day period you can return your fountain pen to us (in its original condition) and we will arrange to have it fitted with a nib grade of your choice, where possible, absolutely free of charge. We’re also pleased to offer a free gift-wrapping service for many of the writing instruments and giftware items we stock. Wrapped with care in our own bespoke wrapping paper, each gift wrap message is handwritten to give your chosen gift a truly unique finish. 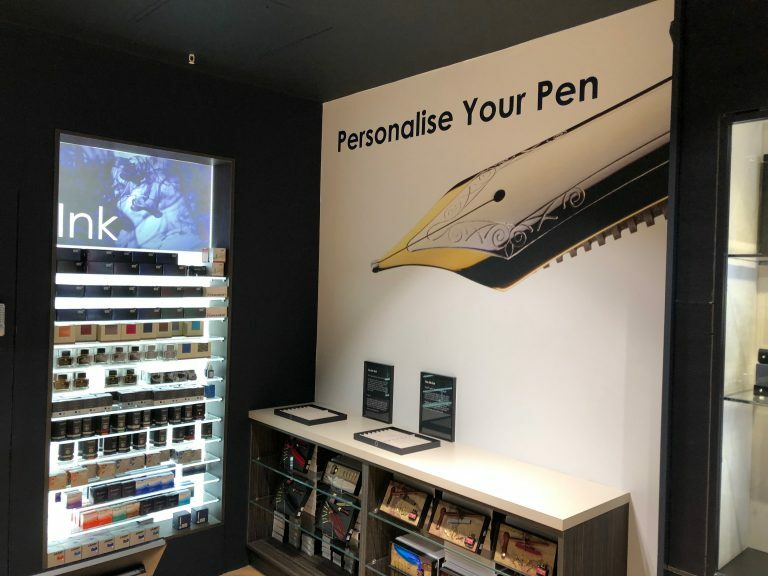 We are thrilled to offer an engraving service in our flagship stores, meaning our expertly trained in-store engravers can personalise your pen while you wait. If you’re able to come to one of our stores, you’re also welcome to try our different fountain pen nibs to find one that suits your handwriting style. Our new Glasgow store even boasts a dedicated nib and personalisation area, allowing you to further customise your purchase. This will gradually be rolled out to all our stores around the UK, starting with our Liverpool Street Station store which is locating to a brand new unit.